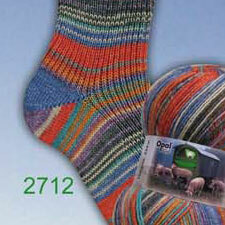 3.5-oz (100-gram) balls of Opal sock yarn. 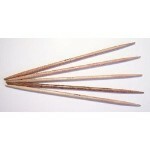 Each ball contains approximately 465 yards. One ball is enough to make one average size pair of socks. Machine wash and dry. There is limited stock remaining of each of these colors/styles. They retail for $15-$25 per ball. Looks so nice knit up! 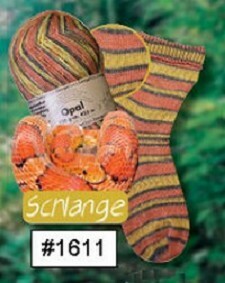 I first bought this on a whim - it was an interesting colorway and Opal is really awesome sock yarn. I finally knit up a pair of socks and fell in love with how amazing they looked. PLUS for anyone who is wanting to have socks that match, this is one colorway that makes it easy to do so without trying too hard.